Andrea Palladio, the humble stonecutter who became the most influential architect in the history of his profession, died on this day in 1580, aged 71. 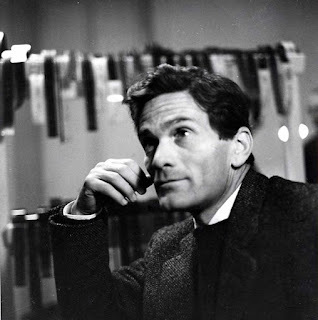 The cause of his death is not clear but some accounts say he collapsed while inspecting the construction of the Tempietto Barbaro, a church in Maser, a town in the Veneto not far from Treviso. 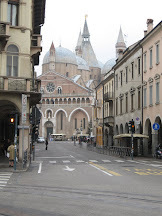 He was initially buried in a family vault in the church of Santa Corona in Vicenza, the city in which he spent most of his life, but later re-interred at the civic cemetery, where a chapel was built in his honour. 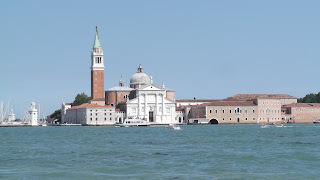 Examples of Palladio's work can be found all over the region where he lived and in Venice, where he was commissioned to build, among other architectural masterpieces, the Church of San Giorgio Maggiore, the focal point of the view across the lagoon from St Mark's Square through the Piazzetta. 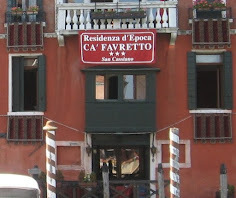 He built a substantial number of villas for wealthy clients across the Veneto region, some of them lining the Brenta Canal that links the lagoon of Venice with Padua. Others such as the Villa Capra, otherwise known as La Rotonda, famous for its symmetrically square design with four six-columned porticoes, can be found in open countryside near Vicenza. Vicenza itself features many of Palladio's designs, including the fabulous Teatro Olimpico, in which perspective was used to create the optical illusion of city streets receding from the stage. He was working on the theatre at the time of his death, after which the project was finished by his son, Silla, one of five children, and Palladio's assistant, Vincenzo Scamozzi. 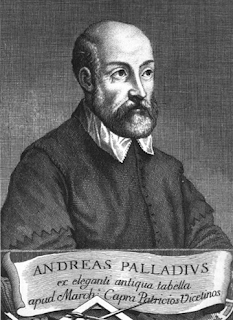 Palladio was born Andrea Di Pietro della Gondola, the son of a miller, in Padua in November 1508. He found work as a stonecutter the workshop of a sculptor before moving to Vicenza when he was 16, joining a guild of stonemasons and bricklayers. 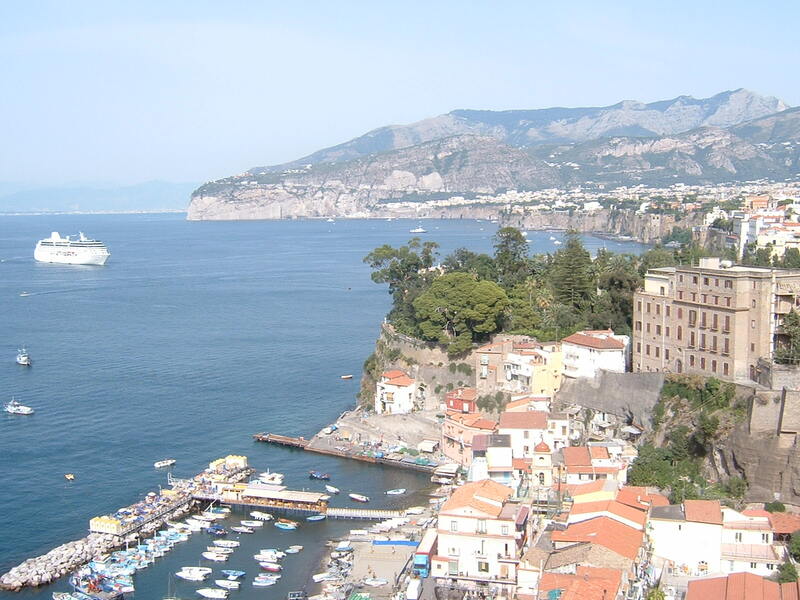 It was while working for the poet and scholar Gian Giorgio Trissino, that his career began to gather pace. Trissino not only gave him the name Palladio, after the Greek goddess of wisdom, Pallas Athene, but encouraged and helped him to study classical architecture in Rome. He was fascinated with the work of Marcus Vitruvius Pollio, architect and engineer of the 1st century BC. It was while in Rome that he came across the Pantheon, with its huge hemispheric dome inspired by Vitruvius, which was to influence many of his designs. Trissino also introduced Palladio to a number of wealthy and influential families, including the Barbaro brothers, through whom he ultimately became chief architect of the Republic of Venice, having already occupied the equivalent position in Vicenza. 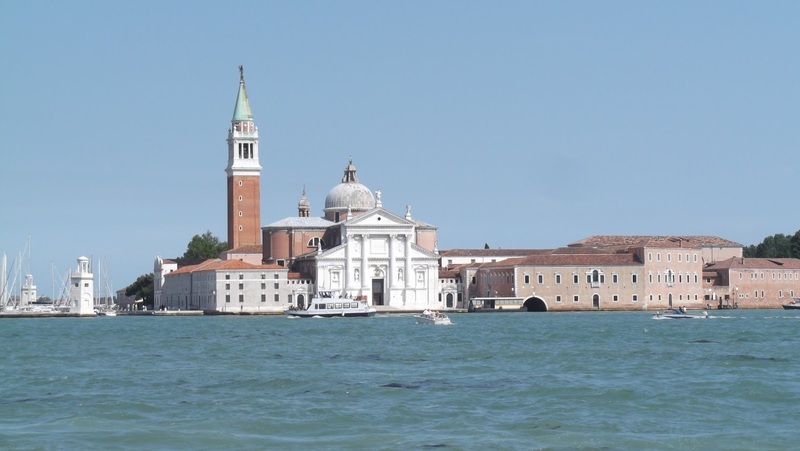 Palladio received his first commissions in the 1530s and thereafter was in constant demand, his style inspiring other architects outside Italy, at first in Europe and later around the world. One factor in the spread of his fame was his publication in 1570 of his treatise, I Quattro Libri dell'Archittetura (The Four Books of Architecture), which set out rules others could follow. The style of his designs became so popular that in Britain, for example, there was an explosion of town halls, assembly rooms, country houses, churches, inns and farmhouses that owed the essence of their design to Palladio's interpretation of classical Roman architecture. The pattern was replicated elsewhere. The White House, the residence occupied by the most powerful man in the world, the President of the United States, has many echoes of Palladio. 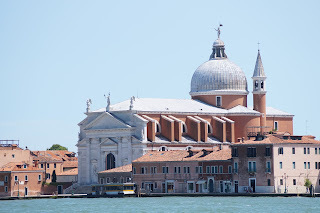 The Church of San Giorgio Maggiore, situated on the island of the same name across the lagoon and directly opposite the Doge's Palace and the Riva degli Schiavoni, is one of Venice's most recognisable sights. 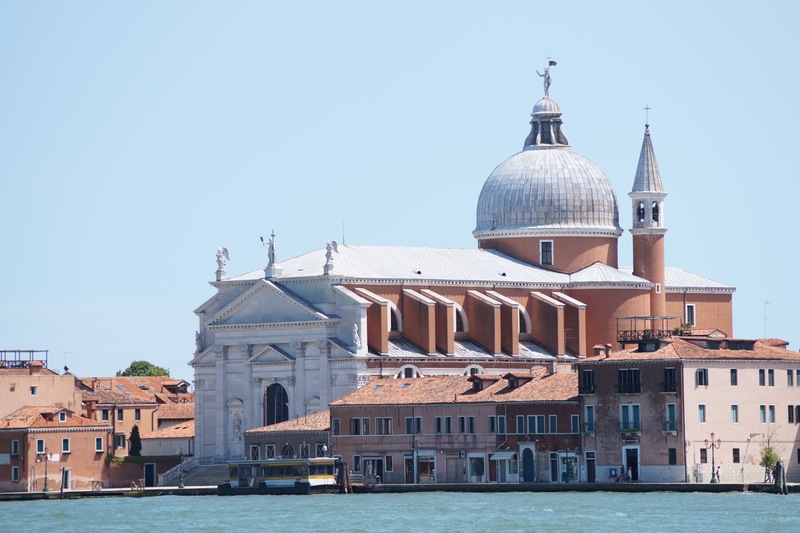 Along the Giudecca island, opposite the Fondamenta Zattere that flanks the Giudecca Canal on the Dorsoduoro side, is the Church of the Redeemer, better known as Il Redentore, of which the facade is another Palladian masterpiece. The city of Vicenza is almost a living museum of Palladio's works, featuring 23 buildings designed by the architect that have been included on UNESCO's list of World Heritage Sites. 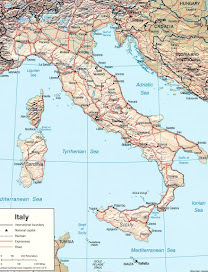 In addition to the Villa Capra, which lies outside the centre, and the Teatro Olimpico, there is the Basilicata Palladiana on Vicenza's central Piazza dei Signori, the Palazzo Thiene and the Palazzo Barbaran da Porto, which houses the Museo Palladio. 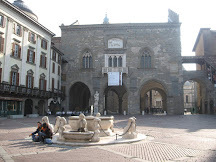 There is a statue of Palladio in the Piazza dei Signori.